The Chevrolet Cruze has earned top reviews with industry experts and Illinois drivers alike, so it’s no surprise that this compact sedan is such a top seller at Libertyville Chevy. Visit our dealership to explore the Chevy Cruze trim levels with our experts, and find out why the Chevy Cruze safety features are such a hit with Libertyville drivers. But first, get a glimpse of our current inventory below. Summit White 2019 Chevrolet Cruze LS FWD 6-Speed Automatic 1.4L 4-Cylinder Turbo DOHC CVVT Preferred Equipment Group 1SB. All prices include all available Incentives. Price is valid for 24 hours. Tax, title, license, doc fee extra. While we try to ensure online merchandising accuracy;dealer not responsible for website errors. Please call to verify price. 28/38 City/Highway MPG Pricing includes all available rebates, dealer is not responsible for any pricing errors. Please call for pricing and availability. Summit White 2019 Chevrolet Cruze LT FWD 6-Speed Automatic 1.4L 4-Cylinder Turbo DOHC CVVT Convenience Package, Driver 8-Way Power Seat Adjuster, Driver Confidence Package, Heated Driver & Front Passenger Seats, Heated Power-Adjustable Outside Mirrors, Keyless Open, Keyless Start, Preferred Equipment Group 1SD, Rear Cross Traffic Alert, Rear Park Assist, Side Blind Zone Alert w/Lane Change Alert. All prices include all available Incentives. Price is valid for 24 hours. Tax, title, license, doc fee extra. While we try to ensure online merchandising accuracy;dealer not responsible for website errors. Please call to verify price. 28/38 City/Highway MPG Pricing includes all available rebates, dealer is not responsible for any pricing errors. Please call for pricing and availability. Silver Ice Metallic 2019 Chevrolet Cruze LT FWD 6-Speed Automatic 1.4L 4-Cylinder Turbo DOHC CVVT Convenience Package, Driver 8-Way Power Seat Adjuster, Driver Confidence Package, Heated Driver & Front Passenger Seats, Heated Power-Adjustable Outside Mirrors, Keyless Open, Keyless Start, Preferred Equipment Group 1SD, Rear Cross Traffic Alert, Rear Park Assist, Side Blind Zone Alert w/Lane Change Alert. All prices include all available Incentives. Price is valid for 24 hours. Tax, title, license, doc fee extra. While we try to ensure online merchandising accuracy;dealer not responsible for website errors. Please call to verify price. 28/38 City/Highway MPG Pricing includes all available rebates, dealer is not responsible for any pricing errors. Please call for pricing and availability. Want to take the next step? 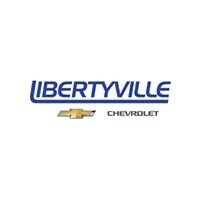 Visit Libertyville Chevy, near Gurnee and Waukegan, to get behind the wheel of a Chevrolet Cruze today!